The Mishna Brura (551:16) says that it is assur to dance in the 3 weeks. This is the reason for the issur of listening to music. All the recent poskim (including Rav Moshe Feinstein and the Minchas Yitzchok) say that this includes listening to music even recorded from a tape or CD. 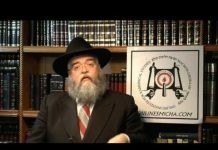 Rav Elyashiv, Rav Shlomo Zalman Auerbach, The Tzitz Eliezer (15:33) and others say that even acapella recordings, singing that doesn’t have musical instruments, are also forbidden. A gathering of people are forbidden to sing if it is the kind of songs that will lead to dancing. Songs of praise to Hashem or in the spirit of the nine days are permitted. Singing to yourself is permitted because it is just to lift your spirits and you don’t usually break out in dance. Nevertheless the Steipler Gaon did not let his children sing during the 3 weeks, only on Shabbos. well the point is that you are enjoying the music, and so if you enjoy akapella then you can’t listen to it! 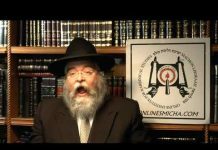 rav elyashiv’s psak needs clarification – rav belsky expressed opposition to the acapela cd’s, but does this include stam listening to someone sing, or does his(rav elyashiv)’s teshuvah mean singing en gantzen? plus, the minhag oilam seems to be maikil. 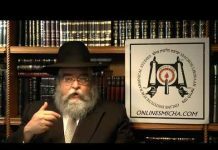 What’s the minhag in eretz yisroel? In yeshiva, a rov who learned in chaim berlin told us in his chaburah that he heard from rav ahron shechter shlit”a that the reason why the oilam is meikil with music bechlal(as reb moshe assered listening to music), is because people are depressed today, so if there are legitimate kulos(which there are), we can be soimech on them – maybe i can be medameh milsa lemilsah here – people are depressed as it is, and even though we need to be less happy during the 3 wees/9 days, we still can’t be miserable(seforim point out, mimaytin besimcha does not mean taking away all of the simcha, just lessening it) – maybe we can say that we need some acca pela singing(without all the little ‘innovations’ that they came out with recently, which rav belsky was against) to keep us from atzvus.